The reports of a stimulus package prepared by the Chinese government started to circulate some time ago, but it was unclear what form the package would take. 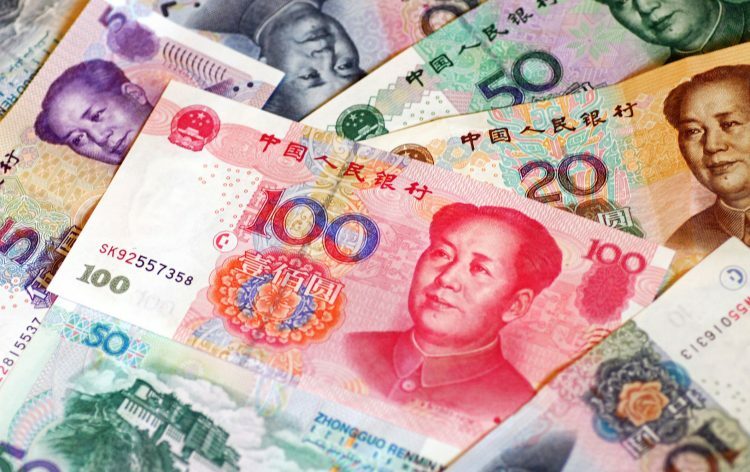 On Wednesday, it was announced that the People’s Bank of China would inject $83 billion into the financial system, which is a record number. Furthermore, the country plans to offer more stimulus throughout the year. Although these measures might seem out of the ordinary, the issues they are trying to tackle are also not ordinary for the country. The trade war with the US and slowing domestic demand are affecting the national output. In addition to this, there was a crackdown on risky lending practices which raised the borrowing costs and affected smaller and medium-size businesses. As a result of all of this, the economic growth in the country is expected to be as low as 6.3% this year. Although this number would be quite positive for many countries, it represents the weakest growth for China in 29 years. Furthermore, it is much lower than the expected 6.6% in 2018. “We expect the economy to soften further this year. Domestic headwinds are likely to stay strong. Output would only be slightly stronger if China avoided further tariffs. And the broader tensions around technology and national security are likely to stay high,” – analysts from Capital Economics said in a note to Reuters. “A significant Chinese slowdown may already be unfolding,” – said Kenneth Rogoff, professor of economics at Harvard University. The open-market operations that injected $83 billion into the economy were the largest single-day injection conducted by the People’s Bank of China. Nevertheless, the authorities aren’t likely to stop at that. The finance ministry and the monetary authority plan to resort to other policy measures as well. The injection was a step that ensured there were enough funds in the financial system. “The banking system’s overall liquidity is falling rapidly,” – commented a representative from PBOC. The effect of the injection is also amplified by the reduction in reserve ratios for the banks, which frees up more capital totaling $116 billion. While this is likely to increase borrowing and thus contribute to the national output, it is unclear how willing the banks are to lend in the current economic and regulatory environment. In addition, businesses might not be willing to expand operations and invest in the face of slowing sales. These measures are partly introduced to counter the effects of the trade war, which is affecting not only China but the US and other economies as well. Many analysts believe, that the US is handling the crisis less effectively than China. “China has shifted gears, introducing a steady drumbeat of new stimulus measures. Meanwhile, US fiscal policy is stuck in gridlock and the shutdown is actually causing a modest tightening of policy,” – commented representatives from Bank of America Merrill Lynch. “Now you have a slowdown, and I think it’s probably a slowdown as opposed to you’re on the way to a deep recession. China is probably the most serious one, and the one with the most ramifications for the rest of the world because China growth at 5 percent is $600 billion GDP growth in the world,” – commented J.P. Morgan Chase CEO Jamie Dimon. Some analysts believe that China isn’t doing enough to counter the effects of the trade war with the United States.”Anecdotal evidence suggests that in response to tariffs from the US, Chinese firms may be lowering prices in order to remain competitive in the US market. This would be consistent with monthly import price patterns recently – import prices from China were rising at a modest pace in early 2018, but started to turn negative in the middle of the summer, when trade tensions and tariffs intensified,” – said Mark Williams, chief Asia economist at Capital Economics. “There’s been a steady drip of announcements, but I think it’s important to note that they don’t add up to all that much, certainly in comparison with previous bouts of stimulus we’ve seen from China’s government. This time they are not going all in. If we compare it with what they did in 2015/2016, the fiscal and monetary stimulus we’ve had so far is perhaps a quarter of the size. They’re still announcing things every couple of days. It’s still adding up,” – Williams added.